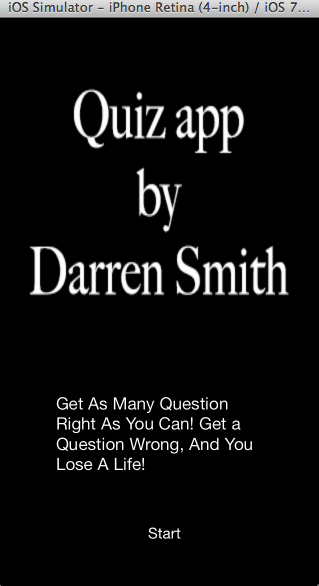 I am developing a Mobile and quiz application. 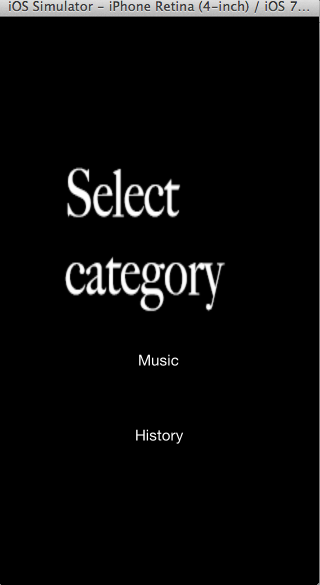 The application will contain categories that are randomly generated when the user starts the application. 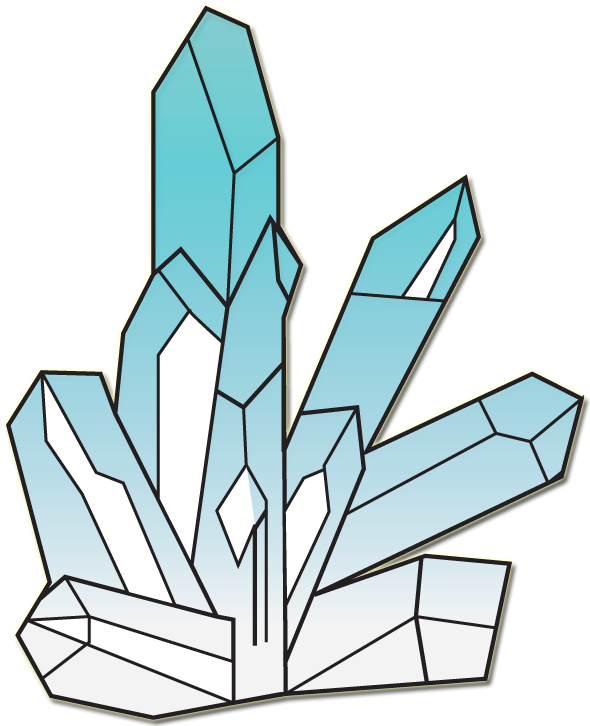 Once the user selects the topic, the questions relating to the topic will be randomly generated from 1 to 4. The user will be required to answer the answer, the correct answer will score them a point. But if the answer is incorrect then the user will lose a life and if the user runs out of lives its game over. 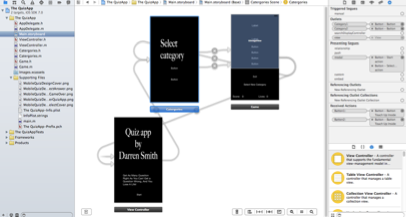 In order to create the application, the first set was to set up the categories and buttons in the Main storyboard. The buttons and labels were created using the Object library. Once they were added, the buttons and labels were then linked using the connections inspection in the view controllers as shown below. 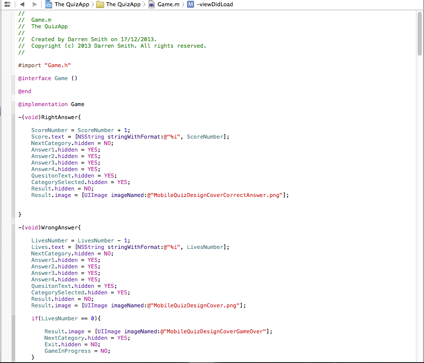 After the connections are made, the game has to be coded using objective C Language. Below are the working progress of the game. More details will be added when completed.